Community members volunteer to be a “friend” for the time that the ASP students are in Salem. At a “matching dessert,” program participants are introduced to each other. The program is a way for the ASP students to meet people outside of university borders. It is a friendship program, not a homestay program. One or two ASP students are matched with a participant for the year, or for a semester (Spring—April-June or Fall-Sept.-Dec.). The participant and student should plan to meet at least once a month for an activity such as dinner in the participant's home, celebrating an American holiday, attending a school musical or sports event, go shopping or on a picnic. The student and participants, through their friendship, will have an opportunity to share their cultures with one another. This program is optional. If a student signs up to participate in the Tomodachi Program, the student must allow time in his/her schedule to participate in the events that the community member plans. There is an assignment sheet that each participant must complete during the year. Assignments include telephoning your “host”, e-mailing your “host”, inviting your “host” to lunch or dinner at ASP, etc. It is also important for the ASP students to invite their “host” to various ASP and/or Willamette events. There are many types of community members who participate, from single parents to older “grandparents” whose children are grown, young couples without children, to young single people. Everyone is welcome to participate. 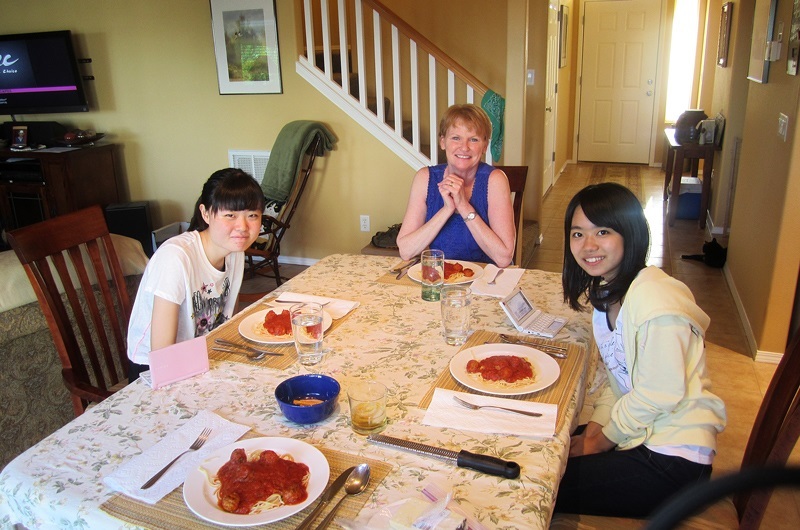 Many Tomodachi program participants enjoy being matched with two students, so some of the students may share a Tomodachi host. Many Americans do not smoke so students are asked to not smoke in their Tomodachi’s home unless they permit it. This program is a way for you to connect with people in the Salem and surrounding community. It is an opportunity for you to have experiences outside the campus environment. The program is optional and if you choose to participate, you also have responsibility for helping to make the program a success. You may participate in the program for one semester or for the year. Barby Dressler, Director of University Relations/Special Programs, locates people in the community who wish to participate. They may be individuals or families. There are quite a few senior citizens who participate, as well as young individuals or couples without children. The participants complete the application form and are required to pass a criminal background check. After you have had some time to settle into a routine on campus, you will be presented with information about the Tomodachi Program. The program is optional and you make the choice of participating or not. If you wish to participate, there will be a mandatory workshop where you learn styles of communication with your Tomodachi host. There is also an application and an agreement form that you must complete and turn in to Barby. The agreement form lets you know the things that are required from you during the rest of the year (i.e. contact your Tomodachi host regularly, send or give birthday cards to family members, etc.). The Tomodachi Program is not a home stay program. It is possible for the students to spend nights with their Tomodachi host, but TIUA does not encourage it. If a family wishes to invite their student(s) to stay overnight, Barby will do a home inspection to verify that the sleeping arrangements are adequate. You must obtain permission from your parents to stay overnight with your Tomodachi host. This is also true if the Tomodachi host offers to take you camping or on an overnight trip somewhere. A sample permission form can be found below. A mother or father in Japan or in other countries can fax the form, call the office, or e-mail their permission. Please see the form below for details. Click here for application materials.